Sunshine outside, shadows in. 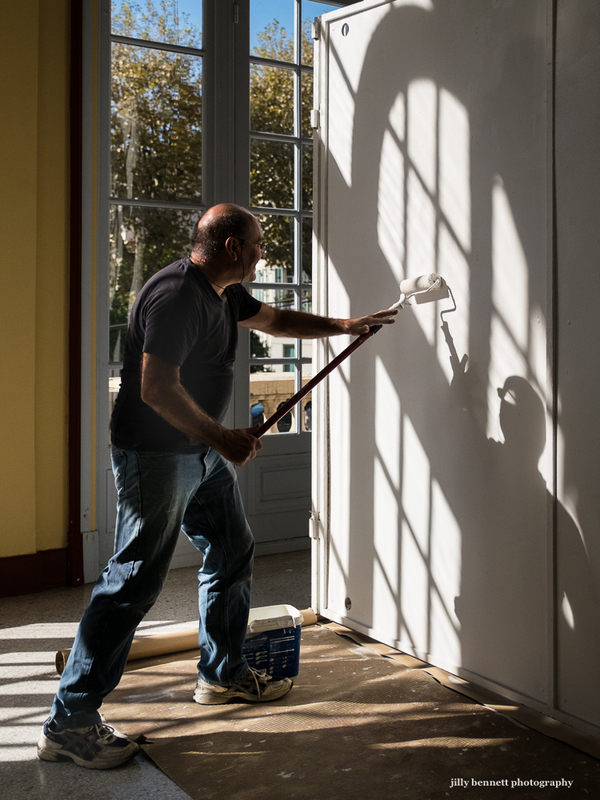 At the Palais de l'Europe, Serge is painting one of the panels in preparation for the forthcoming PhotoMenton exhibition. Don't miss it! 110 + photographers. 21 - 29 November 2015. Soleil dehors, ombres à l'intérieur. Au Palais de l'Europe, Serge peint l'un des panneaux en vue de la prochaine exposition PhotoMenton. Ne manquez pas ça! 110 photographes. Du 21 au 29 Novembre 2015. Lovely use of shadow and light! Serge looks strong enough to knock that roller right through the wall. This might be good in B&W, too.